Somehow, it's been nearly 20 years since the one-of-a-kind band Cibo Matto dropped its debut album, Viva! La Woman, on a listening public largely unprepared for its toothsome gumbo of pop, trip-hop and culinary obsession. That 1996 album spawned cult-favorite singles "Know Your Chicken" and "Birthday Cake." Its standout song, "Sugar Water," inspired director Michel Gondry to create one of the most remarkable music videos in the history of the form. Did we mention that all the songs are about food and eating? Cibo Matto is Italian for "crazy food." After releasing their second album, Stereo 1 Type A, three years later, vocalist Miho Hatori and instrumentalist Yuka Honda amicably parted musical ways. Though they both remained active in a diverse array of pop and experimental music projects in the fertile downtown New York City scene, the two did not make music together again until Hotel Valentine, released in 2014. The songs on that record — loosely held together by a cryptic narrative about ghosts, theft and hotel housekeepers — are at once a continuation of Cibo Matto's distinctive sound and proof that they're still full of new ideas. In advance of their Friday, June 26, performance at the Higher Ground Showcase Lounge, Honda spoke with Seven Days about a band that turns out to be a multifaceted art project. SEVEN DAYS: Since you've never played in Burlington before, I feel it's my obligation to give you some restaurant recommendations. YUKA HONDA: Yes! That's very important. When I'm on tour, I like to eat healthy so I can sustain myself longer. Vegetables, Asian food. Anything fresh, local, special to the area. SD: I'll text you some suggestions later. Why is it that Cibo Matto broke up in the first place, and what was the occasion for getting back together? YH: We don't really think of it as just a band. We joke that it's like a marriage. The first time we started a band, we just thought it was about making albums, playing shows. It just went much farther than we originally thought. It was like we were high school sweethearts who got pregnant and got married right away and had to jump into real-life situations. To be honest, I think a part of us was not ready, but we really didn't want to miss the opportunity, so we jumped into the ocean. Eventually, it seemed like a healthy solution to say, "We're gonna stop now and do something else." It was getting a little too much for us. So we really feel like this is a second marriage, where we've really thought about what it is. We're a 50/50 band, but that means that half of your ideas get rejected. SD: You're involved with the New York avant-garde scene. Any thoughts on the recent passing of Ornette Coleman? YH: It brought tears to my eyes. I'd heard rumors that he was not doing so well, but it really broke my heart that he passed. Because he was such an open-minded person, he used to welcome any musicians into his house to jam with him. So I got to jam with him twice, which was incredible. It's not only that his music is great, but he was a great music philosopher and thinker. His music means a lot to me. SD: Hotel Valentine sounds both familiar and new. YH: Basically, Cibo Matto music is a hybrid of Miho music and Yuka music. So I think the sound hasn't changed in that we are still the same people, but we've also grown and have experiences — musically and in real life — and I think we're bringing all of it to the table. The music comes from our hearts and our bodies. Hopefully, it's something that's a little more mature. SD: In creating the fragmentary story of Hotel Valentine, did you look to other concept albums for ideas? YH: No, I think we went with a concept because that's how we work best. Otherwise, there are too many options. When we were making Viva! La Woman and we had food as a concept, we had a lot of fun talking about, "How about this? How about this?" I feel it gives the album more focus. One of the things that Miho and I are really into is food, but another is movies. We're both really into movies that have loose narratives, like old Wong Kar-wai movies, and we really like Leos Carax. While we were making this album, he finally, after a long absence, put out Holy Motors. That movie has a narrative, and also doesn't. And everything feels like that to us. It feels like life is small fragments — puzzle-like. 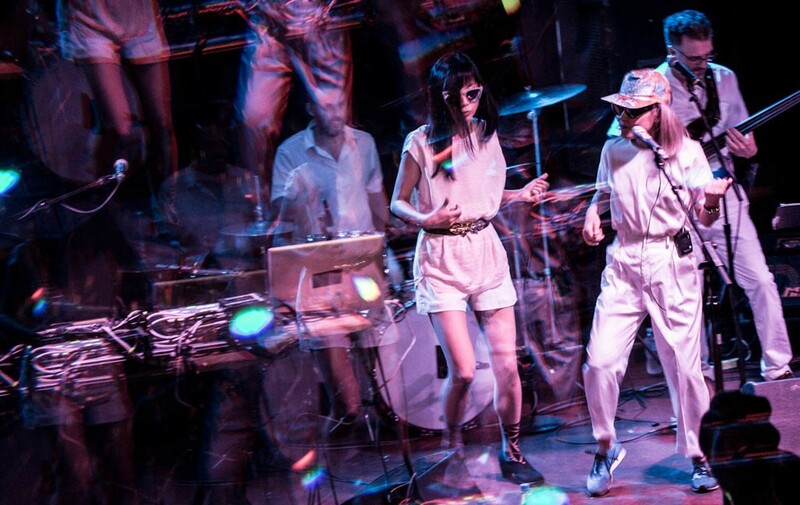 SD: Cibo Matto is renowned for its innovative music videos, and that's true of the ones from Hotel Valentine, too. Which got me thinking: Maybe Cibo Matto is more like a multimedia art project than a band. YH: Yes, absolutely. We like to think of ourselves in that way. It's not just about notes and words. We try to express other things in our sound. We don't use regular instruments. A lot of the sound comes from collage: found sounds that are really not always in tune, or that have a lot of air. It's more about the senses. I don't know how to describe it, but it's not just the audio. We try to express feelings in our sound. It's connected to our invisible, imaginary movie that you can't see. SD: You've made three solo albums. Are you planning on making more? What projects are you working on right now? YH: I have a band with my husband [Wilco guitarist Nels Cline], and we've been recording an album for quite some time. I also started this instrumental group with a drummer, Jordyn Blakely, who's in Invisible Familiars, the band that will open for us in Vermont. 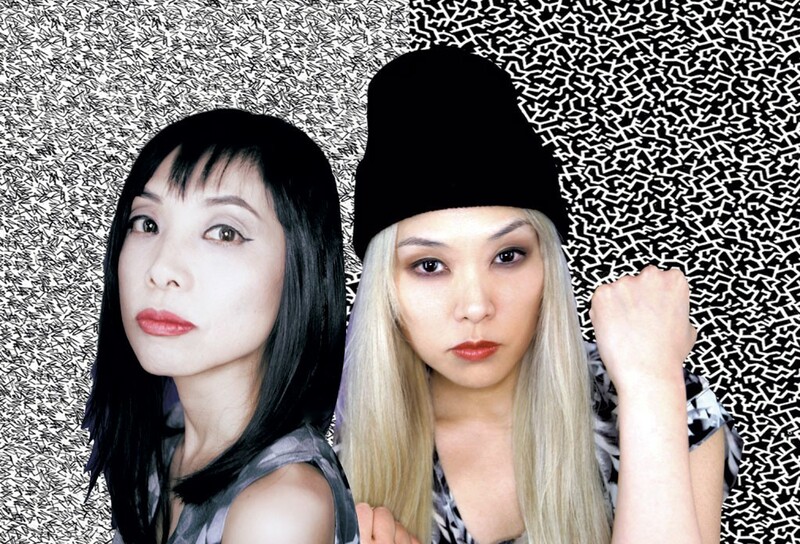 SD: The music industry changed a whole lot during Cibo Matto's hiatus. How have you been dealing with the new digital reality? YH: I'm enjoying the fact that I can talk to fans more directly. I find it really exciting. Otherwise, I'd see them at shows and exchange one word, if you're lucky. Financially, it can be difficult, but it used to be that a lot of bankers were deciding who gets to make an album, or whether to put an album on the shelf. But now, I feel like only people who really want to do it are left making music. I do see a lot of positive sides. SD: Does your fan base consist of your fans from the '90s? Have you gathered new fans? YH: I've been surprised. The last time we toured [with Hotel Valentine], I expected the shows to be attended by older fans, but there were a lot of people from the younger generation who told us that when we were touring in the '90s, they were 10, 11, 12 years old and weren't allowed to come to our shows. They're happy that we're touring now because now they're allowed to come! We felt really great about that. SD: What music have you been listening to lately? YH: I'm really crazy about Flying Lotus. And Kendrick Lamar, D'Angelo's last album. I still listen to St. Vincent a lot. Those are on my heavy rotation. But if I have to choose one, Flying Lotus would be the one. The original print version of this article was headlined "Puzzling Pieces"